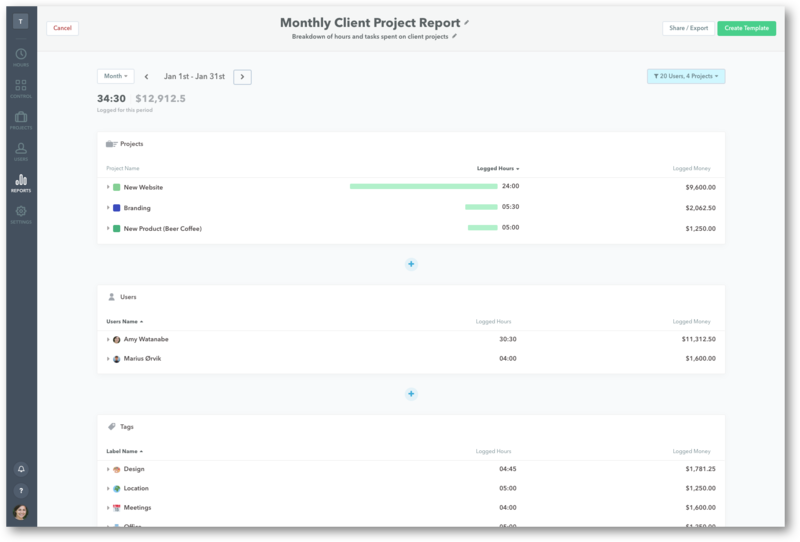 We know it can be a little annoying to go through a three-step process to get your client their report: download it, save it, and then email it. So, we've now made it just one click! Just generate a sharable public link to your report and send it to your client for instant access. Once you have finished setting up your report template, hit "Create Template" to save it and then click "Share and Export". *This is located at the top of the screen next to "Create Template" or "Update Template" (if you're creating or editing an existing report template). 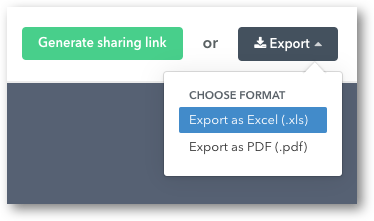 Once you've clicked "Share/Export", you'll get to preview your report, letting you make sure your "i"s are dotted and "t"s are crossed. If you need to adjust your report, simply click back on "Template" in the upper-left-hand corner. Click on "Generate sharing link" in the upper-right-hand corner to create a public link to your report. A pop-up message will reveal the URL you can copy and share with others. The same link will then show at the top of your report, where you can choose to Revoke access at any time. 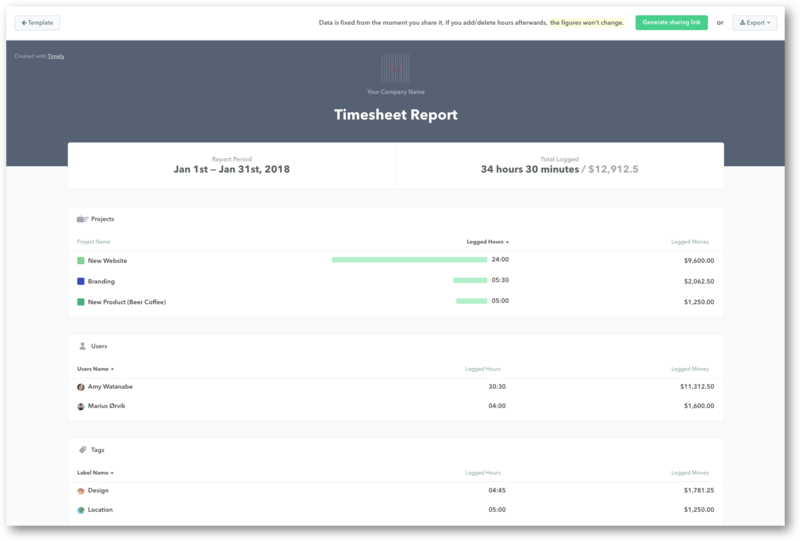 Exporting your report is helpful for when you need to analyze your reports further in Excel or if you'd like to send your timesheet as a basis for invoicing via PDF. For every report you create, you'll be able to generate and export a report. Reports can be exported in both .XLS and .PDF format. Small reports will be download directly to your computer. If Timely thinks the report is too large for a direct download, it will send it to your Timely-registered e-mail address instead within a few minutes. To export different data simply change the filters at the top of your report template. Read more on how to create a template.